Sunday is cleaning day at my house. Working six days a week means that there is no resting on Sunday for me. Over the past few weeks I’ve been working on making my own natural cleaning solutions. First up is Citris Vinegar cleaner. I got the recipe and instructions from this blog. It’s pretty basic, but takes a few weeks to set up. 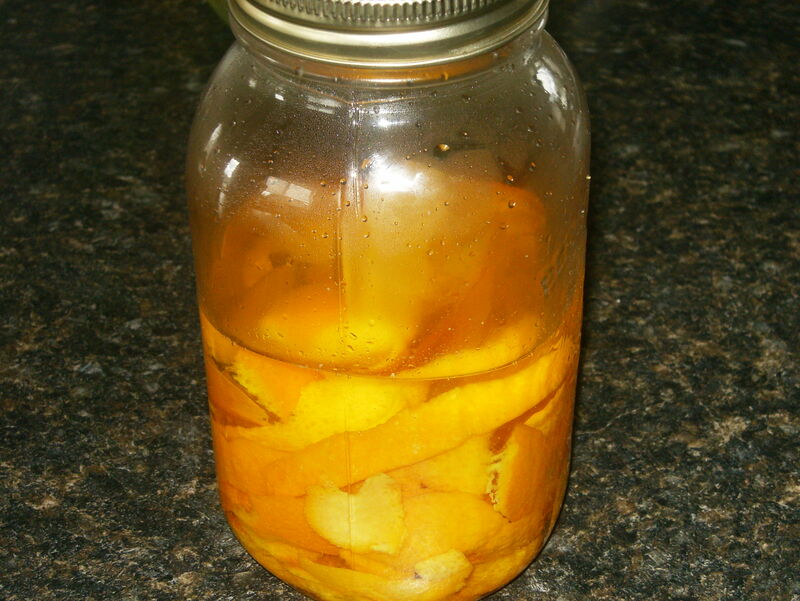 Simply place your orange, lemon or grapefruit peels in a clean mason jar and top with plain old white vinegar. 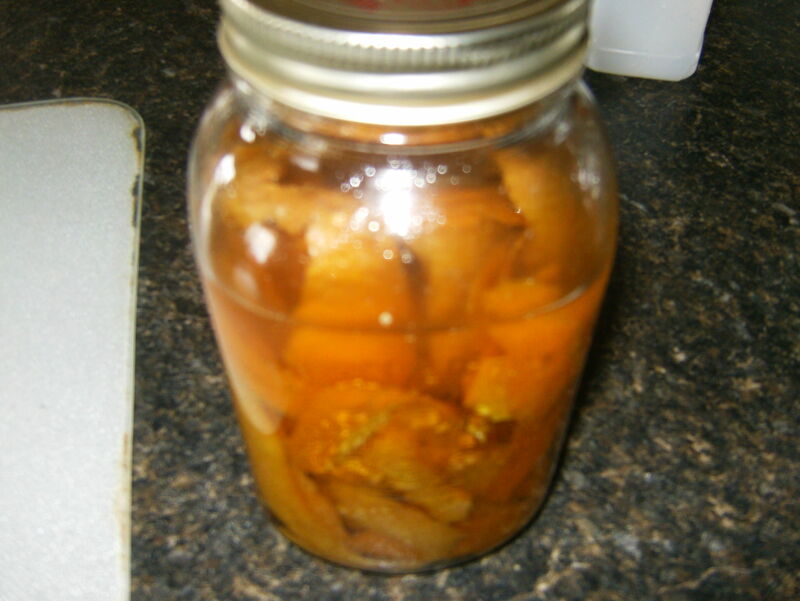 I used a veggie peeler to remove the zest from my oranges, this minimized the amount of pith in the jar. Continue to add peels and vinegar until the jar is full. Then let it soak for 2 – 3 weeks, giving it a good shake once a week. I had mine sitting on the pantry shelf for about two weeks, then moved it to my sunny kitchen window sill for the final week, shaking it regularly. You can see (sort of) that the orange peel is now discolored as the rich orange color has been absorbed by the vinegar. The citrus does not eliminate all of the vinegar smell, but it does help. I have no issues with the smell of vinegar anyway, but if you do…this may not be the cleaner for you. I didn’t take a picture of the cleaner in a spray bottle (duh! ), but the contents of this batch topped up with water (50/50 split) filled a dollar store spray bottle. 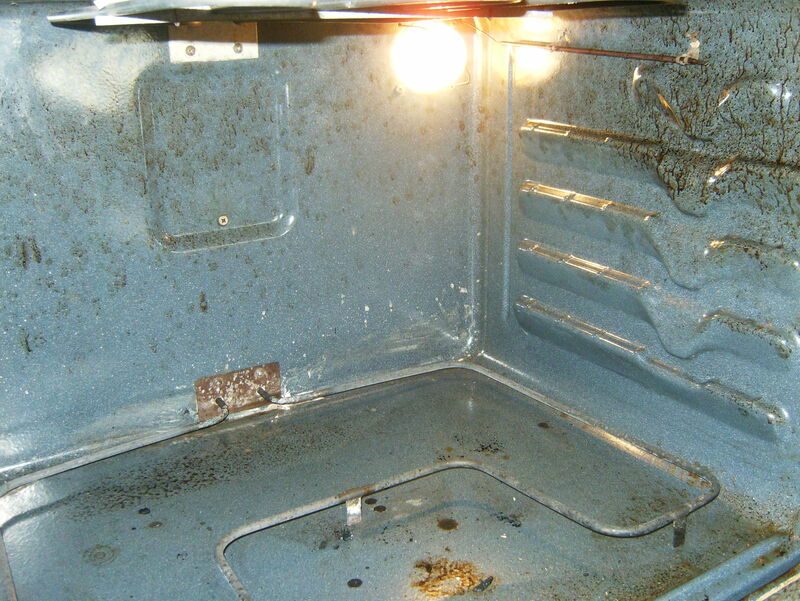 My intention in making this was to have a natural degreaser that I can use in the kitchen. Mainly for my stovetop and oven. So, I went ahead and tried it out. I sprayed the top with my new orange cleaner and let is soak in for about 10 minutes. I am really impressed that I was able to get this result with little scrubbing. The vinegar smell lasted about 10 – 15 minutes then magically disappeared! 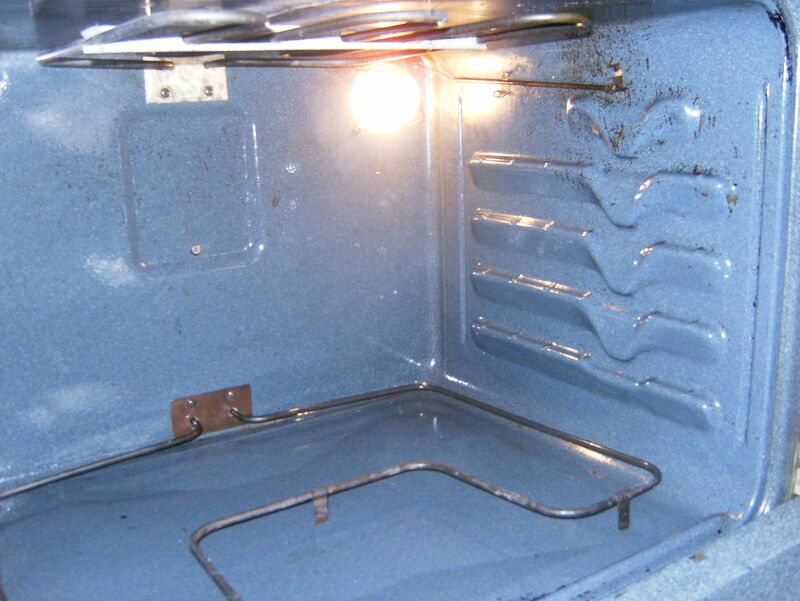 I sprayed the walls and the bottom of the oven and let it sit for about 20 minutes. There are still some grease marks on the right wall (as you can see), but my knees were screaming by this point, so I decided to tackle it next time. The other natural cleaner I tried was the miracle cleaner by jillie found on her blog onegoodthingbyjillie. It’s a simple mixture of baking soda and hydrogen peroxide (you know, the stuff in the brown bottle?). 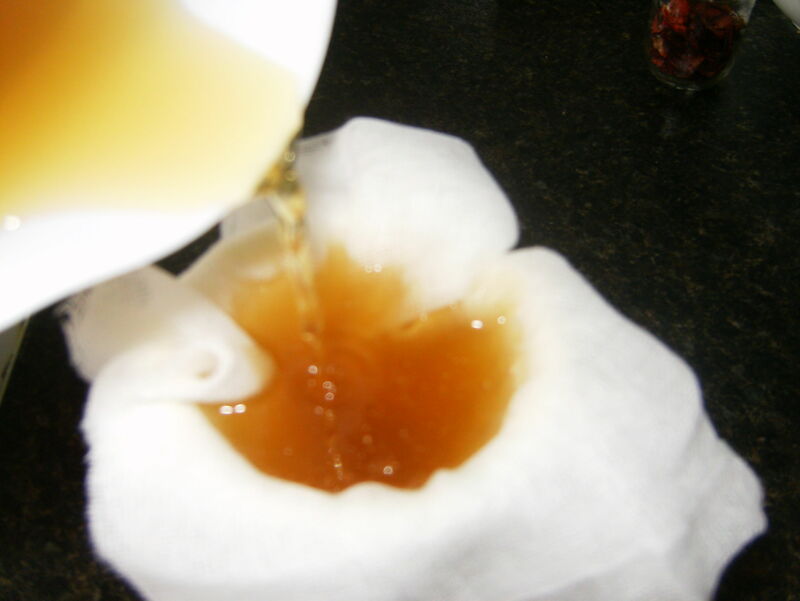 Just place some baking soda in a glass bowl and add hydrogen peroxide until it forms a paste. Not bad eh? Minimal scrubbing required…minimal! This stuff really works! 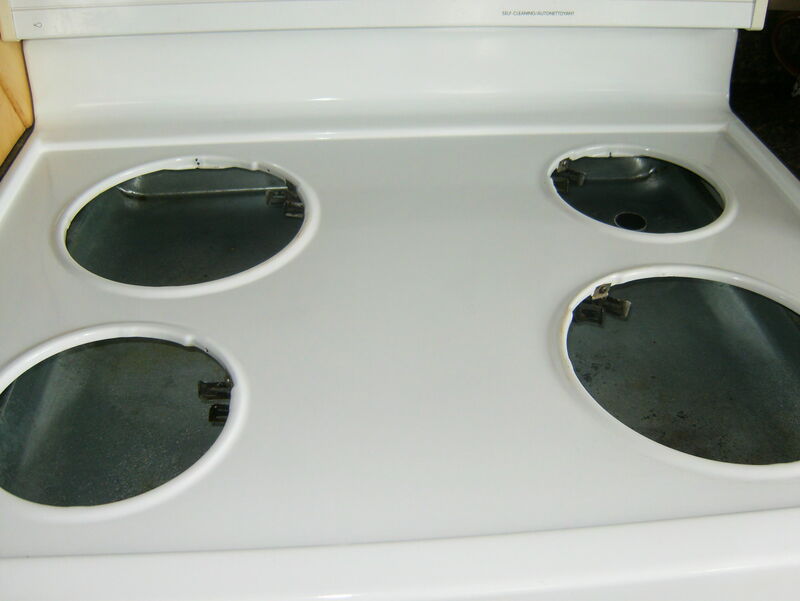 On the oven door, it did a great job cleaning the gasket thingy around the edge too! Do you have any natural cleaning methods that you would like to share? I would love to hear about them!